Om Rudrapriya Holiday Resort is the ideal destination for wild life chase. Here you can discover the reality of life and nature. Om Rudrapriya Holiday Resort is the ideal destination for wild life chase. Here you can discover the reality of life and nature. Tourists prefer this resort for both comfort and luxury. Nestled in green trees, this resort is an ideal place to relax away from home. Om Rudrapriya Holiday Resort is a wonderful destination of National Tiger Reserve, Ranthambhore. The resort is blended with all the modern and world class amenities that will arrest your imagination. At Om Rudrapriya Resort you will have a mesmerizing experience of wild life safari theme. Here you can enjoy the natural green, wild life, hospitality, tigers, jungle and its exoticness. Om Rudrapriya Resort is surrounded by lush green forests and the surroundings are absolutely amazing and breathtaking. 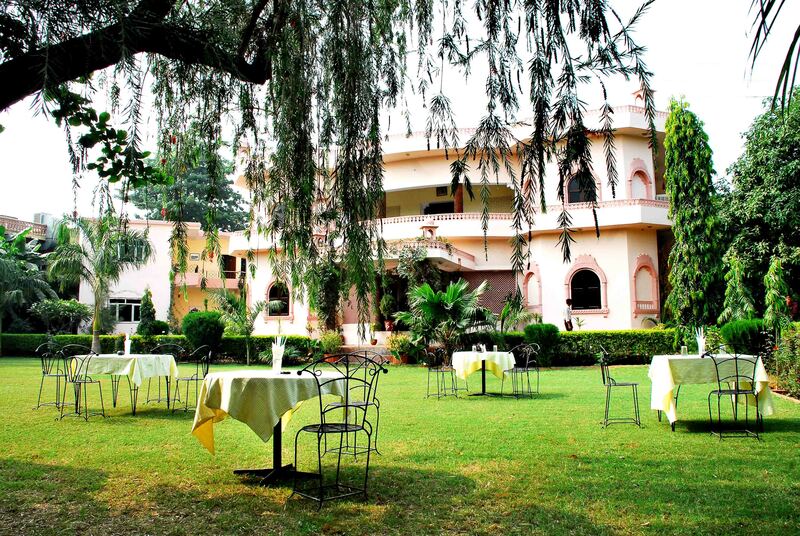 It is an ideal place to have the most amazing holiday experience in Ranthambore National Park. Om Rudrapriya Resort has 32 Deluxe Rooms and 4 Honeymoon Suites. All the rooms are designed with western decors to suit the needs of the contemporary travellers. All the rooms are equipped with modern facilities and amenities. You can enjoy breathtaking view of lush greenery, well manicured lawns and swimming pool from the balcony of your room which looks incredibly beautiful. Om Rudrapriya Resort is an epitome of luxury and comfort where you can have an amazing holiday with your family. From the balcony of your room you can listen to the musical tweet of the strange birds. All rooms are spacious, well lit and air conditioned. At Om Rudrapriya Resort you will create memories that will last in your mind for a long time and you would love to visit this place time and again. Om Rudrapriya Resort has multi-cuisine restaurant and bar which offers all the Indian and International cuisines. All the chefs are well trained, friendly and serve the guests round the clock. The dining area is spacious and fully air-conditioned which provides a relaxing environment and boost up your mind, body and soul.